"The energy in the room when he finished was almost visible." Need some inspiration in your program? From boardrooms to classrooms to lecture halls, Willie Weir entertains, motivates, and inspires. 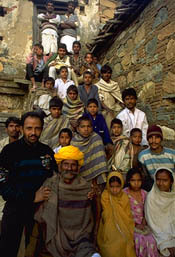 His programs appeal to anyone with a love for adventure and desire for challenge. Colombia has spent many years ranked as one of the most dangerous countries on the planet. Most Americans only exposure to Venezuela is from seeing president Hugo Chavez rant against American Imperialism. What do you do when you have a 3-month bicycle journey planned in Turkey and a week before you leave U.S. troops invade Iraq? If you are radio commentator and travel columnist Willie Weir ... you go anyway. Willie will take you down some "bad roads" in this amazing country and explore the question, "How do you decide when adventure is worth the risk?" "Cuba would not have even made it onto my list of top twenty destinations, except for one reason ... my government told me I couldn't go." In 1998 Willie Weir pedaled off on a 2,000 mile bicycle journey throughout the forbidden island of sugarcane, cigars and socialism. Experience three months of adventure; from breaching national security at a nuclear reactor, to a wild, bizarre and unforgettable Christmas Eve ... all on a prototype bicycle that allowed him to begin solo and later continue tandem with his wife, Kat. War, sickness, romance, crime, adventure! While UN troop trucks and tanks rolled along Bosnia's highways, Willie Weir cycled into Sarajevo and beyond into Serb controlled Bosnia. From the mountains of Slovenia, to the back roads of Albania, Willie encountered this volatile region with a woman who would change his life forever. "He gives a dazzling performance straight from his heart that is mesmerizing, humorous, honest, surprising, and insightful. 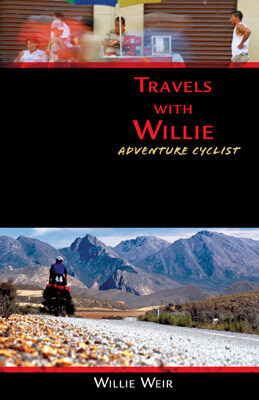 Willie appeals to everyone -- children, adults, adventurers, and dreamers." Willie Weir pedaled in post-apartheid South Africa months after Nelson Mandela had been elected president. Eager to travel in the former homelands, home of the Zulu, Xhosa and other tribes, he faced a daunting obstacle ... hundreds of people warned of grave consequences. Sometimes adventure means facing your fears and coming to grips with your own prejudices. What is the proper response when a 13 year-old boy confides in you that he is a deity? What should you order for dinner while spending a night in jail? And what does Charlie Brown have to do with the sport of cricket? Willie Weir takes you on a humorously bumpy ride through the subcontinent on a bicycle loaded down with every travel fear imaginable. "I have been booking nationally and internationally known outdoor /adventure speakers at the University of Montana for 18 years. Willie Weir is one of the best."